The Nashville Predators have been an NHL franchise since the 1998-99 season after the city was granted an expansion team in June 1997. In their 20 seasons of existence, there has been one constant: general manager David Poile, who’s served that role since the franchise’s inception. He’s been the architect behind every season, from the inaugural roster through the 2018-19 rendition. That means he’s been the decision-maker in a lot of drafts and has made a lot of picks. This article kicks off a series that looks at each of the 21 drafts in Predators history. I’ll look at each of the players Poile selected, talk about each player’s tenure, if any, with the team and look at any missed opportunities. To start the series, I’m looking at the first draft in franchise history, the 1998 Entry Draft held in Buffalo, New York. The Predators made eight picks in the nine rounds that year. With the first pick in franchise history, Poile selected center David Legwand from the Plymouth Whalers (now the Flint Firebirds) of the OHL. He was drafted one spot after the Tampa Bay Lightning took Vincent Lecavalier with the first-overall selection. In the 1997-98 season, Legwand posted 54 goals and 105 points in 59 games, finishing third in the OHL in points and tied for second in goals. He played one more season with the Whalers before turning pro, and he became a full-time NHL player during the 1999-00 season. He played parts of 15 seasons with the Predators and accumulated 956 regular-season games, 210 goals and 566 points. He remains the franchise leader in games played, goals, assists, points, even-strength and game-winning goals. He also guided the Predators to seven playoff appearances and totaled 13 goals and 28 games in 47 postseason games. 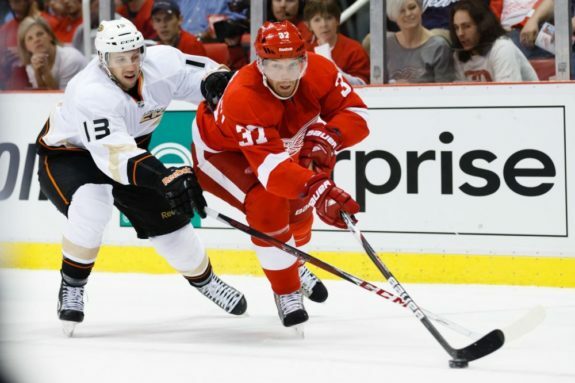 On March 5, 2014, Poile dealt Legwand to the Detroit Red Wings in exchange for Patrick Eaves, Calle Järnkrok and a second-round pick (later traded to the San Jose Sharks and used on Julius Bergman). 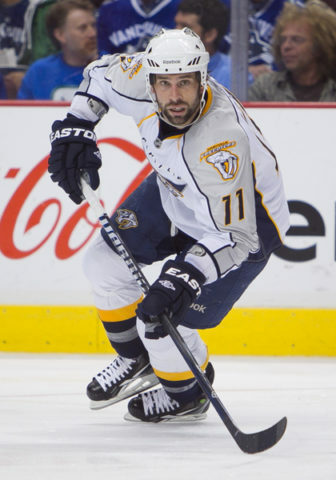 Following the trade, Legwand also played for the Ottawa Senators and Buffalo Sabres before retiring after the 2015-16 season. He finished his career with 1,136 regular-season games played, 228 goals and 618 points. He is currently the owner and associate coach of the OHL’s Sarnia Sting. Legwand had a great career. 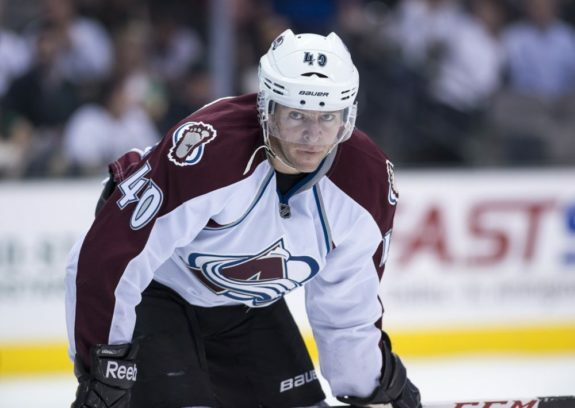 However, drafted 10 spots after him was Alex Tanguay who totaled 283 goals and 863 points in 1,088 regular-season games in his career. He posted seven 20-goal and four 70-point seasons and won the 2001 Stanley Cup with the Avalanche. He also played for the Calgary Flames, Montreal Canadiens, Arizona Coyotes and Lightning. With the 60th-overall pick, the Predators drafted Denis Arkhipov, a center from Ak Bars Kazan in Russia’s Superleague, the predecessor to the KHL. He only totaled two goals and four points in 29 games in his draft season, although he was only 18 years old during the 1997-98 campaign. He played two more seasons in Russia before joining the Predators and making his NHL debut in 2000-01. He played four seasons with Nashville, totaling 40 goals and 111 points in 273 regular-season games, before he returned to Russia during the 2004-05 lockout and stayed there the following season. Upon his return to the NHL, he signed as a free agent with the Chicago Blackhawks for the 2006-07 season, but only lasted one season. Afterwards, he once again left North America for Russia and remained there until he retired after the 2012-13 season. He finished his NHL career with 352 regular-season games played, 56 goals and 138 points. Richards had an excellent career that is often overlooked. He began his career with seven straight 60-point seasons, was runner-up for the 2001 Calder Trophy and won the 2004 Lady Byng Trophy. 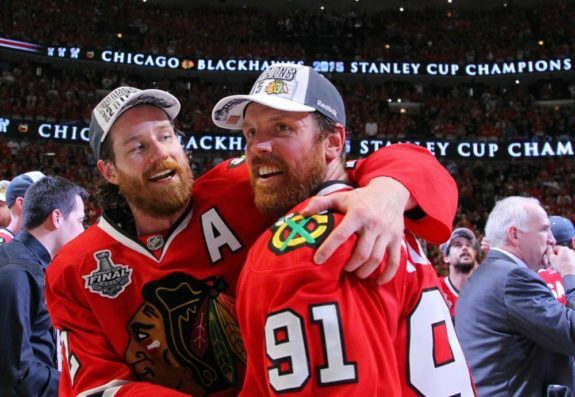 He won two Stanley Cups – 2004 with the Lightning and 2015 with the Blackhawks. Finished his career with 298 goals and 932 points in 1,126 regular-season games. The Predators drafted left winger Geoff Koch after an underwhelming freshman season at the University of Michigan in which he posted five goals and 11 points in 43 games. He played three more seasons with the Wolverines, including captaining the squad as a senior. He never signed an NHL contract and has been out of hockey since the 2000-01 season concluded. Although it took Ponikarovsky until the 2000-01 season to reach the NHL, he had a productive 12-season career. In addition to the Maple Leafs, he played for the Pittsburgh Penguins, Los Angeles Kings, Carolina Hurricanes, New Jersey Devils and Winnipeg Jets. 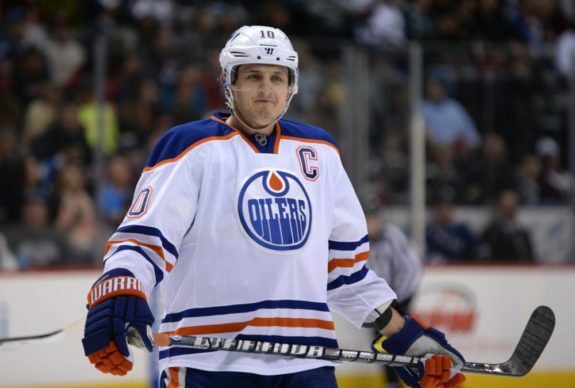 He finished his NHL career with 678 regular-season games played, 139 goals and 323 points. After the 2011-12 season, he left North America to play in the KHL and retired after the 2017-18 season. The first defenseman ever drafted by the Predators, Kent Sauer was selected 88th overall out of the United States Hockey League’s (USHL) North Iowa Huskies (now the Cedar Rapid RoughRiders). He scored four goals and 23 points in 54 games in his draft season. After the 1997-98 season, he played one season with the University of Minnesota-Duluth and followed it up with one season in the WHL. The Predators signed him and he joined the club in 1999-00 when he played for the Milwaukee Admirals. He spent the next three seasons bouncing between the East Coast Hockey League (ECHL) and AHL. He never reached the NHL and retired after the 2003-04 season. Although Horcoff never scored 25 goals in a season, he was a productive player for the majority of his 15-season career. 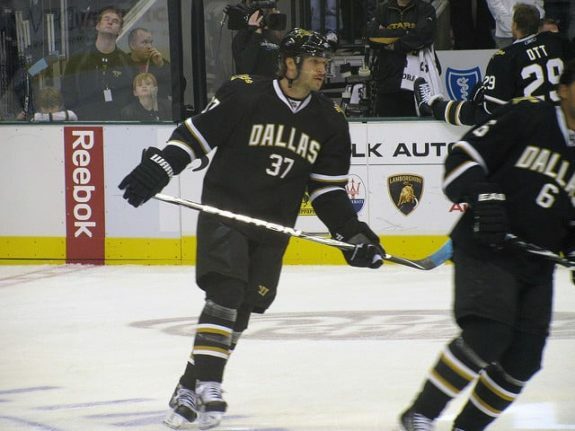 He finished with 186 goals and 511 points in 1,008 regular-season games and played for the Dallas Stars and Anaheim Ducks in addition to the Oilers. He is currently the Red Wings’ director of player development. Poile used a fifth-round pick on defenseman Martin Beauchesne, who was mostly an enforcer. In 1997-98, his draft season, he totaled one goal and three points in 65 games with the Sherbrooke Faucons of the QMJHL. He played four more seasons with Sherbrooke and never signed a contract with an NHL team. He played several seasons in Canadian minor professional leagues before retiring after the 2004-05 season. Swedish product Mikael Samuelsson spent 13 seasons in the NHL with six teams and accumulated 149 goals and 346 points in 699 regular-season games. Although those numbers aren’t elite, they’re a lot better than what the Predators received from Beauchesne. Following the 2013-14 season, Samuelsson returned to Sweden and retired after one season. He is currently the Blackhawks’ European development coach. Right winger Craig Brunel was another enforcer-type player. Ahead of the draft, he played for the WHL’s Prince Albert Raiders and scored six goals and 18 points in 58 games in his draft season. He played one more season of junior hockey before reentering the draft, where the Sabres selected him in the ninth round. He played professionally for the West Coast Hockey League, ECHL and AHL, as well as a stint in a lower-level Canadian league. He retired after the 2008-09 season without having reached the NHL. Andrei Markov has been a steady, reliable blueliner throughout his career. 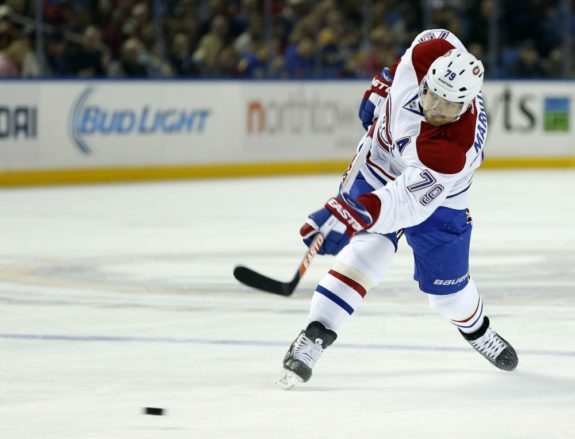 If the NHL portion of his playing days are over, he’ll have only worn a Canadiens sweater. In 16 seasons, he played in 990 regular-season games with 119 goals and 572 points. He had two sixth-place finishes in Norris Trophy voting, in 2007-08 and 2008-09. He left the NHL in 2017 for the KHL in his native Russia and currently plays for Ak Bars Kazan. The Predators drafted Slovakian right winger Martin Bartek in the eighth round, which no longer exists, after one season in the QMJHL. Although he was drafted from the Rimouski Océanic, he also played for the Rouyn-Noranda Huskies and Sherbrooke his draft season. He finished that season with 23 goals and 58 points in 66 games. He returned to Slovakia for the 1998-99 season and played another season in the QMJHL in 1999-00. He made his North American professional debut during the 2000-01 season with the Admirals and went between the International Hockey League, AHL and ECHL. He left North America after the 2002-03 season and played in Europe through 2017-18. Ryder was a long-shot to even reach the NHL, let alone be a productive player. For starters, he is one of 29 players in history to reach the NHL from the province of Newfoundland and Labrador. Additionally, eighth-round picks aren’t expected to reach the show. Yet Ryder did just that. He tallied three 30-goal seasons in his career and was runner-up for the 2004 Calder Trophy. He finished his career with 806 regular-season games, 237 goals and 484 points. He played for the Canadiens, Stars, Devils and Boston Bruins, with whom he won the 2011 Stanley Cup. If Ryder was a long-shot to reach the NHL, Karlis Skrastins’ path to the league was next to impossible. A Latvian, Skrastins is one of 36 players in history to be born in Latvia, or when they were part of the USSR, and be drafted into the NHL. Not all of them reached the league, either. But he was also drafted in the ninth round, which has featured some big-name players like Luc Robitaille and Gary Suter but has, for the most part, not been a good source for future NHL talent. Skrastins was an exception. The Predators drafted him from TPS in Finland’s Liiga. A defenseman, he tallied four goals and 19 points in 48 games his draft season and he made his NHL debut during the 1998-99 season. He played in 307 regular-season games across five seasons with Nashville and totaled 13 goals and 54 points. The Predators traded him to the Avalanche for a third-round pick in June 2003 (pick was later traded to Ottawa and used on Peter Regin). He also played for the Panthers and Stars and finished his NHL career with 832 regular-season games played, 32 goals and 136 points. 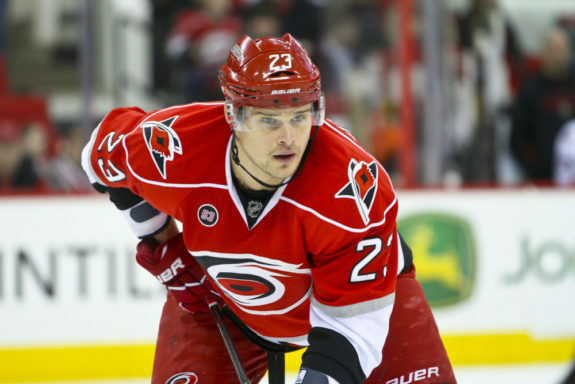 Following the 2010-11 season, he left the NHL to play in the KHL after signing a contract with Lokomotiv Yaroslavl. However, he didn’t have the chance to play for them as he passed away in the plane crash that killed the entire team as they were en route to Minsk, Belarus to start the 2011-12 season. He was 37. Missed Opportunity: None. Teams can’t have high expectations of late-round picks developing into productive NHL-ers, yet that’s exactly who Skrastins was. Just three of the picks reached the NHL and only Legwand made a long-term impact. He also turned into Järnkrok, who’s had a sizable impact of his own. Meanwhile, five of the picks never made the league, and if it weren’t for Legwand, this draft would have been a disaster for the Predators.